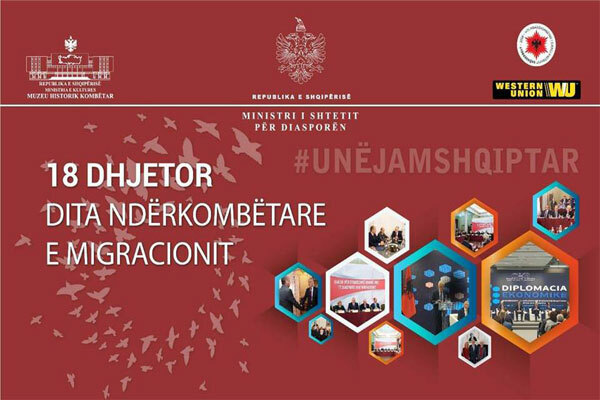 The National History Museum and the State Ministry for Diaspora are pleased to invite you to the opening of the exhibition dedicated to migration on the occasion of the International Day of Immigration. The opening ceremony takes place at the Main Hall at the National History Museum on 18 December, at 11.00. This exhibition includes photographic material on Albanian diaspora through the centuries. The exhibition begins chronologically with the picture of the National Hero, Gjergj Kastrioti Scanderbeg, as the representative of the most glorious era and the time when the first waves of Albanian emigration began. The exhibition features photos of the first arbëreshes with their footsteps in southern Italy, photos of Arvanites and Albanian Rilindas. The first immigrant photo in the US is an important moment in the exhibition, following photographs of the first patriotic groups in Sofia, Bucharest, Cairo, Istanbul and Vienna.